Hi everyone…Hope all is well at home and a very Happy Thanksgiving was had by all. I am currently in Surkhet, and was able to have a fantastic meal with the 2013/2014 fellows. It turned out pretty amazing, with Chicken, Stuffing, Potatoes, Green Beans, Carrots, Bread, and Becky’s amazing deserts. 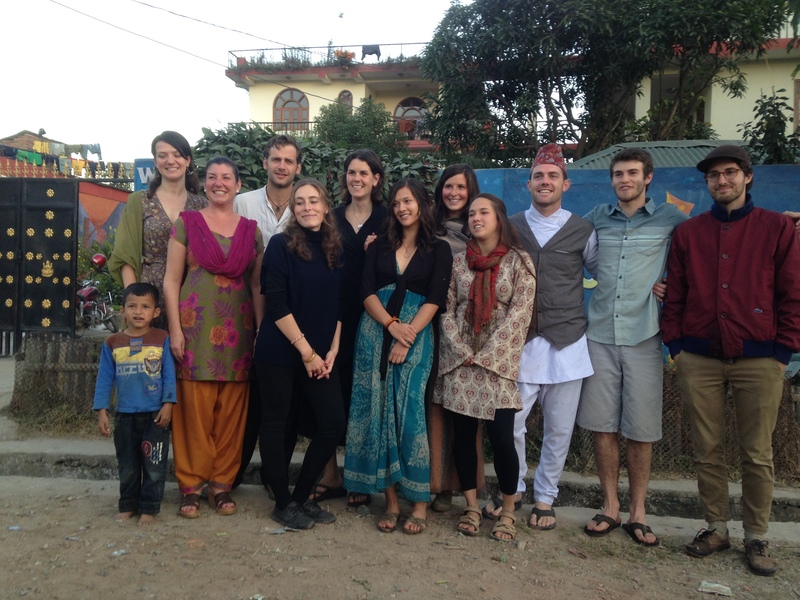 I’ve been so lucky to have a really great group of people to work with and share life with in Surkhet, and I am very thankful for all of them. When I first got here it was easy to make comparisons to last year, the people, the experience, the place…but I really love everyone in this group, and am embracing the new experience that is this year. While I miss the “OG” daily, I’m thrilled to be surrounded by such interesting and talented people now. With regards to the project…the last week has been the most significant to date. In the biggest piece of news, earlier this week we hired Mim Bahadur Karki, a doctor from Kalikot. He has a great deal of experience working in the hilly areas of Nepal and is qualified to deal with medical issues unique to Kalikot. He has a great reputation and has worked with a number of my Nepali contacts in the past. Yesterday we went on a big shopping trip to get the first round of medicine for the clinic. Fortunately, we had a relationship with the medicine vendor and were able to purchase everything on our list for whole sale prices. 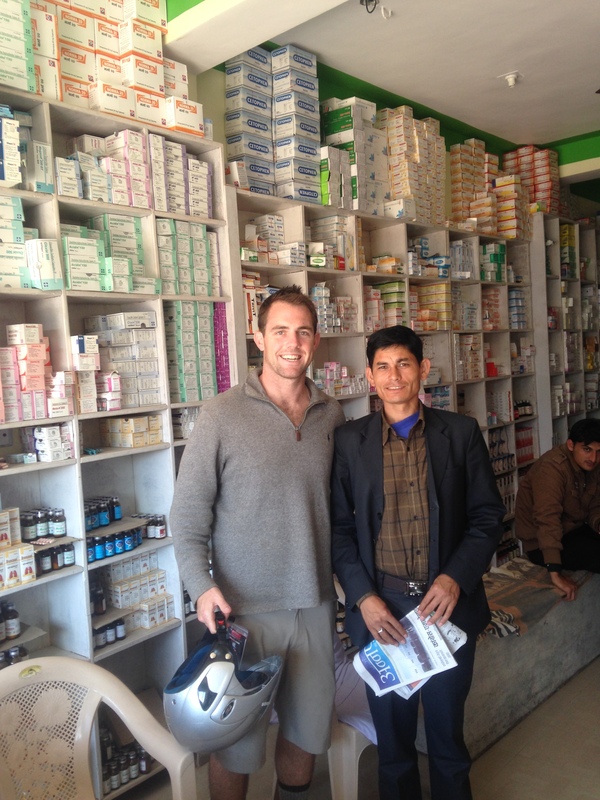 I’ve had discussions with Karan, the doctor, and individuals from Kalikot and everyone is excited to get to work. In addition to our doctor we also rented a small home in Surkhet. I’m a huge fan of the property which is roughly ten minutes from Kopila Valley, and very livable. The home will serve as a springboard for OdaKids, as the majority of major purchases will be made in Surkhet. Additionally, if patients are in need of care beyond what we are able to provide in Oda, they can come down to Surkhet in order to receive additional treatment. As the nearest large city, it made a great deal of sense for our team to have a place of our own in town. 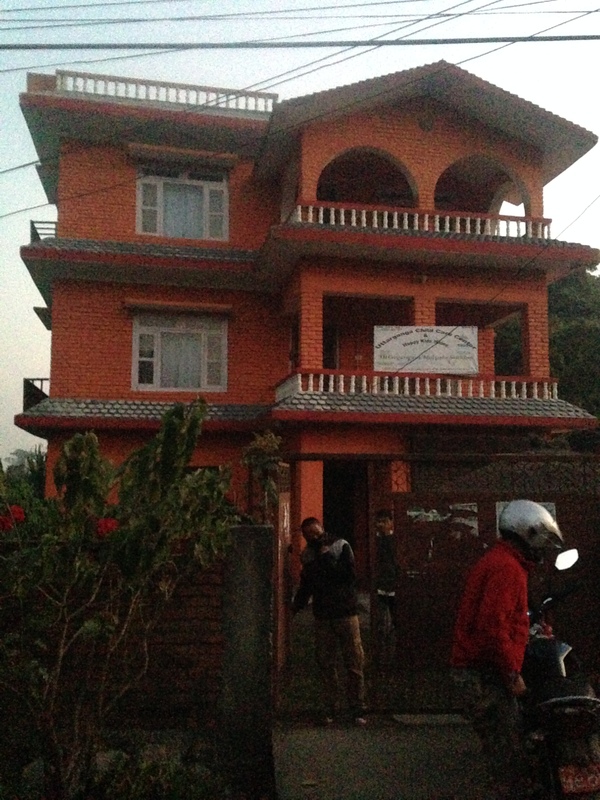 The house will also house Karan and me while we’re in Surkhet. As I’ve mentioned in past posts it was my experience in Surkhet that inspired this journey, so I’m thrilled to have a more permanent place to call home while visiting Surkhet. Over the past week, we also purchased a motor bike to help facilitate operations. Whether making supply runs, or handling patients in the event of an emergency, after some serious thought the need for private transportation was necessary. Already, it has been invaluable in terms of helping Karan and I make the necessary purchases for our project! 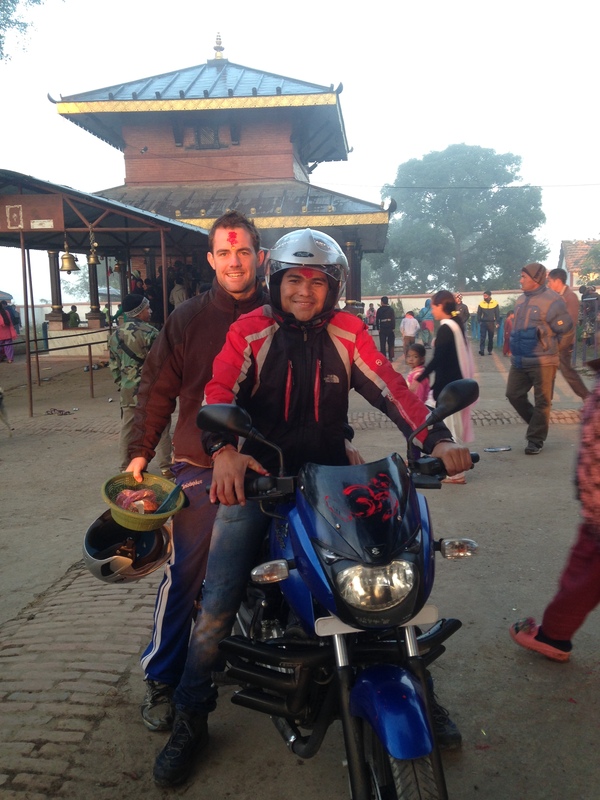 On Saturday Karan and I woke up at 530 am in order to go to Temple, and get the bike blessed. It was a pretty surreal experience, but I’m thrilled that we went…the blessing definitely put some minds at ease. Now that things are getting underway, I plan to update the blog much more regularly. The past several months has been an up and down adventure in terms of finalizing planning, but now that the project is going forward I’m very excited to share the adventure. For now we plan to focus on the clinic, until we reach a place where we feel we are in good enough shape to push forward on other projects. Per usual I appreciate all of your support, and I know full well that I would not be where I am or doing what I hope to do without the support of everyone at home.